As lawmakers and government entities look for ways to help the U.S. economy recover from recent financial turmoil, consumer protection has come to the forefront. Legislators and others seeking to bolster employment opportunities have scrutinized background screening, particularly the use of credit reports and criminal records. While some would call this scrutiny unfair and unjust, we believe it stems from a legitimate and ongoing concern over balancing the rights of consumers (employees and applicants) and employers. Specifically, the needs and rights of employers to know about the people who make up their workforce balanced with the rights of consumers to protection under the law. Is the sky falling on the employment background screening industry? Absolutely not! Today’s economic situation dictates that we review our current employment screening practices – not that we avoid them. Employment screening is a strategic endeavor for organizations that compete on the basis of their talent and smart employers will take this as an opportunity to ensure their screening practices support their business strategy. After all, just as we have had to review and realign our corporate strategies in response to the current economy, so should we review and align our employment screening practices. The point is, whether or not employment screening ends up under greater legislative control, it is important for employers to acknowledge that the right thing to do is to put fair policies in place, follow those policies consistently, and screen their people for a more qualified, safer, and more productive workforce. 1. Do you have an established and published background screening policy? Your background screening policy should be specific to the risk tolerance and business goals of your organization. It should detail the types of checks to be conducted at varying levels within the organization, when and how screening is to be conducted, and what information will be collected. 2. Do you have a well-documented background screening process? A documented screening process should detail step by step how your background screening policy will be implemented. It should help the subject of the report understand what happens and when. It also helps hiring managers conduct the process. 3. Is your process consistently implemented across all applicants/employees? A process is only as effective as its implementation and in background screening we add that the importance lies in consistency. To avoid claims of discrimination, employers must never conduct background checks on a selective basis. All similarly situated applicants – those applying for the same or similar positions – must be subject to the same format of background check prior to receiving an offer of employment. 4. Is there a clear link between the background check and the job? Probably the best advice we can give to any employer is to keep all background checks strictly job related. Assess the risks of a given job and determine the information you need to know in order to make a safe and appropriate hiring decision. This exercise will help you find balance between your “need to know” and your employee or applicant’s privacy rights. 5. Are your policies and processes implemented in strict accordance with FCRA regulations, state and federal laws, and other contractual obligations, as applicable to your organization? The complexities of employment background screening can be dizzying when you consider the Federal Equal Employment Opportunity and Fair Credit Reporting Act meshed with state Equal Employment and Fair Credit Reporting laws, combined with Americans with Disabilities Act and other legal or contractual obligations you face. Before long you may find yourself wondering if it’s all worth the effort. A qualified screening provider, paired with appropriate legal counsel, can help you effectively deal with the compliance environment and get the most out of your efforts. 1. No screening of contingent workers. Today’s companies increasingly rely on temporary workers and independent contractors. If you contract with a contingent worker, you are still responsible for the behavior of that individual on the job. As such, it is prudent to require the same screening for contingent workers as for regular employees. 2. No screening policy for existing employees. As people are promoted within your organization to positions of higher risk or greater authority, are they subject to a higher level of background screening? As your screening policy changes, are your current employees subject to screening based on this new criteria? 3. Policies that neglect the use of a national database search. In the past, national criminal database searches were not part of the regimen for most companies. Now, with an increasingly transient workforce and access to national databases that are much more robust than in the past, a national database search is an inexpensive, yet often valuable tool to guide the criminal search process. Considering that 80% of U.S. corporations rely on employment background screening, the issue of legislation is one that affects many. Instead of throwing our hands up and wonder why legislators would seek to encroach upon employers’ rights, we see this as an opportunity to focus on good screening practices. These practices can only make our workforces stronger and our companies more competitive. 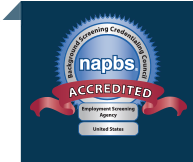 As a professional background screening company, we can help you design, implement, and manage an effective screening program that protects your organization, your candidates, and your employees. Only when employers and screening companies take their responsibilities seriously will we reduce the need for legislative controls. Request a meeting to discuss your needs.